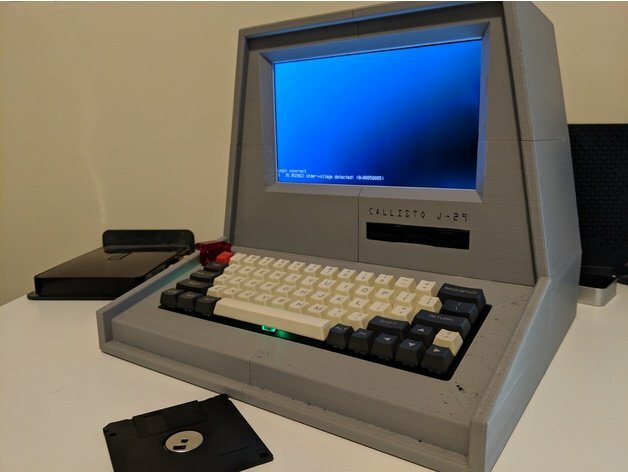 Raspberry Pi Retro Computer #piday #raspberrypi #3DPrinting @Raspberry_Pi « Adafruit Industries – Makers, hackers, artists, designers and engineers! Hello everyone! I have searched over the years for a full sized retro computer that you can print. Since I couldn’t find one, I decided to make my own and share it! The most important part of making this feel like a retro computer is the keyboard. To get that retro clunky fallout terminal like sound, I opted for a mechanical keyboard with blue switches. These days they are pretty inexpensive and available on Amazon. The monitor was the hardest part to find since most of the smaller monitors are either too expensive or too thick. After searching for awhile for the perfect size, I finally found it on Amazon for a reasonable price. To make assembly easy, I decided not to take the monitor apart and have it be able to fit in the 3D build right out of the box. The floppy drive was the easiest to find. There are lots of external USB floppy drives that are cheap and work well with the Raspberry Pi. And for the actual computing part I used a Raspberry Pi model 3 B+! 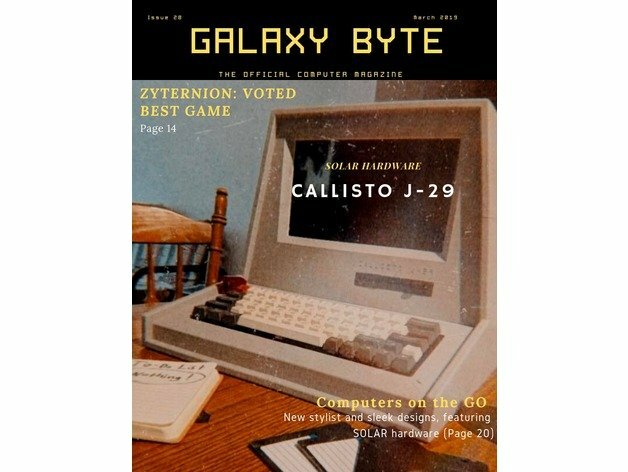 This Callisto J-29 Terminal works well as a dedicated raspberry pi personal computer.